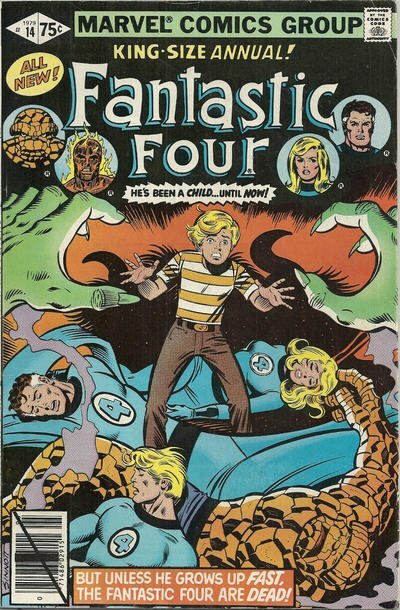 Click Here To See Fantastic Four Annual #14 Comic Book! Reed and Sue Richards renew their wedding vows on this page that not only includes that whole FF team, but also Agatha Harkness, Franklin Richards, and others. 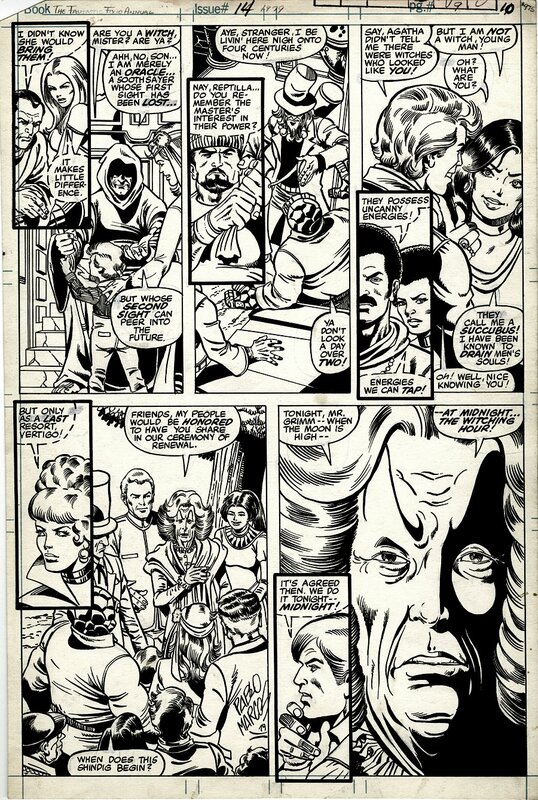 George Perez's originals from his popular run on the Marvel flagship series have long been some of the artist's most sought after art pages. Along with his work on the Avengers, Perez's later 1970s run on FF cemented his reputation as a fan-favorite and launched him into super-stardom in the 1980s. ALL art on our website (including this one) are able to be purchased with VERY fair time payments, and trades are always considered towards "ANY" art on our website! Just send us an email to mikeburkey@aol.com and we can try to work something out.